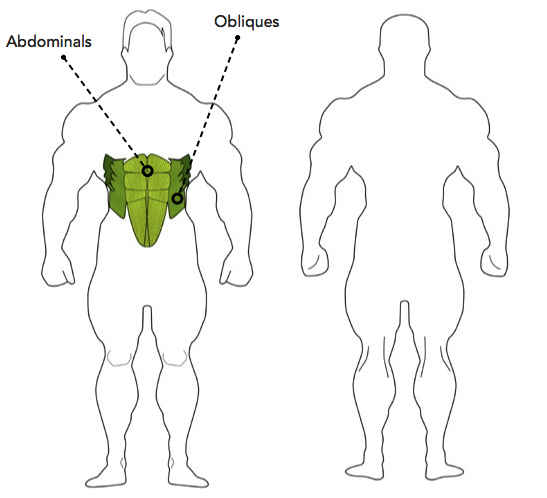 The Weighted Crunch is a core exercise that primarily targets the abdominals but also works the obliques. This is an isolation exercise which is well suited to beginner lifters. Lie on the floor holding a plate, dumbbell or kettle bell. Contract your abs to lift your torso off the bench until you are sitting upright. Slowly lower your torso back down until it is just off the ground and repeat.